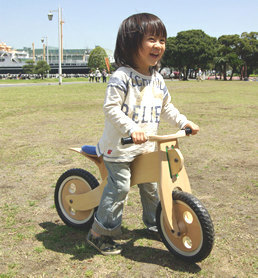 "Bent Wood Cycle" is made by furniture craftsmen with their tr aditionalskills which are called MAGEKI. It is the domestic product of AKITA Prefecture in Japan. All of the wooden parts are curved and most of them are hand made.